Opening it doors to the public this month in a city surrounded by movie studios, is the world's first Martial Arts History Museum. 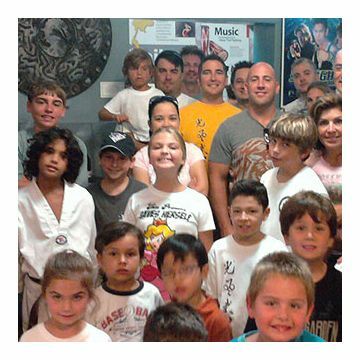 An educational facility, the museum explores the artistry, tradition, history and culture of Asian forms of martial arts. Form the creation of the Chinese artform called kung fu to today's anime, the museum is a timeline revealing how Asian history continues to play a unique role in American history. With over 600 plus artifacts, photographs and videos on display, the museum is divided into a maze of sections incorporating the countries of China, Japan, Korea, the Philippines, Thailand and even Hawaii. In addition, the facility provides an insight into tournament, movie, television and print memoriabilia. "This is the first home of the martial arts worldwide," notes museum president and founder Michael Matsuda. 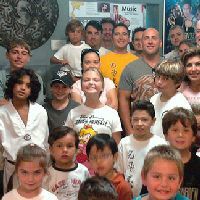 "This is not a who's who of the martial arts, but it is a place to enlighten children and visitors about Asian history and the role it continues to play in American society. Today, we don't just have soccer moms, but karate moms as well." The museum invites its guests to learn about each country in which the art was founded. As an example, the art of muay came from Thailand, kung fu from China, tae kwon do from Korean, lua from Hawaii and more. Through these sections, the museum serves to open the doors to a better understanding of Asian culture. Founded in 1999, the museum began by displaying its artifacts through a traveling exhibit across the nation. In 2007, the museum opened in a temporary facility in the city of Santa Clarita and finally relocated to its permanent location in Burbank, CA. Beautifully designed with a boundless amount of information, the museum boasts its continuous lineup of seminars and workshops as the best in the nation. "Almost every weekend, the museum plays hosts to sword cutting exhibitions, Samurai sword history, Japanese sushi workshops, Philippine dancing, Hawaiian performances, Chinese musical groups, taiko drumming, action movie director series and stunt seminars. In addition, the museum also includes Asian language classes, interviews with mixed martial arts stars and martial arts movie celebrities," adds Matsuda. The museum is a non-profit organization and is located at 2319 W. Magnolia Blvd., Burbank, CA 91506. Cost is $6 for adults, $3 for children. They are open from Thursday through Sunday, 11 am to 6 pm. Memberships are also available. For further information, visit their website at MAmuseum.com.